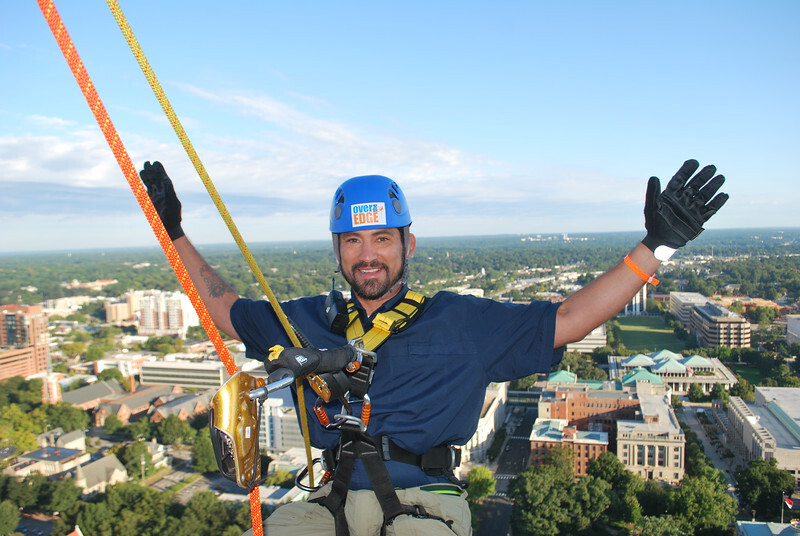 CHARLOTTE, NC and RALEIGH, NC – A limited number of adventure seekers will have bucket list opportunities to rappel two high-rise landmarks in North Carolina’s largest cities–all for Special Olympics. 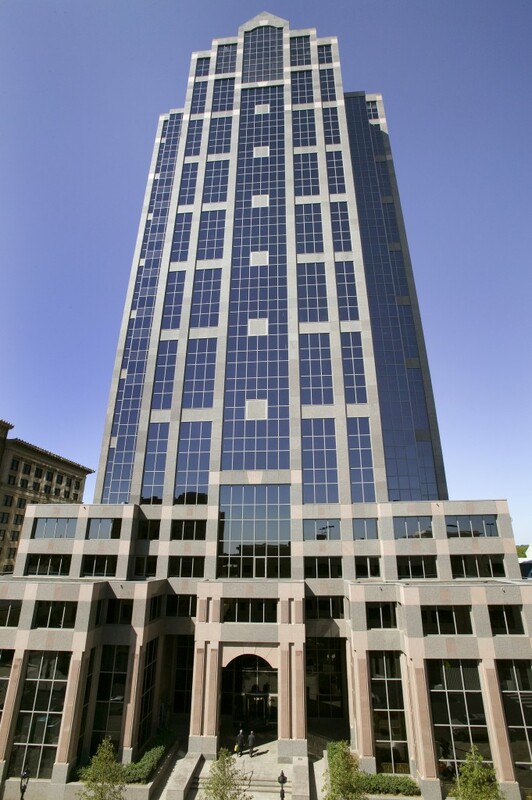 Over the Edge, a fundraiser for Special Olympics North Carolina will provide high-flyers an extreme descent from the pinnacle of Wells Fargo’s 30-story Capitol Center in downtown Raleigh, on October 2-3. Skyline views and rappelling adventures will carry on in the Queen City’s Uptown district on Saturday, November 14, atop the 18-story Hyatt House Charlotte Center City. Registration for Over the Edge is now open with prime-time slots selected by the quickest fundraisers. A few of the early signers include employees of North Carolina’s Highway Patrol, Cumberland County’s Sheriff’s Office, and Sport Clips Haircuts, picking up three slots in each city for thrill-seeking customers. The top fund-raiser in 2014, Café Carolina & Bakery, raised over $30,000 with A Sweet Way to Help campaign. The Café employs Special Olympics athletes in each Triangle location and is repeating the campaign in 2015. The in-store promotion continues through October 3, enabling customers to purchase oversized, fresh baked cookies for one dollar. Over the Edge funds will benefit Special Olympics North Carolina programs offering year-round sports training and competition for nearly 40,000 children and adults with intellectual disabilities. Athletes train and compete on local and state levels in 19 sports, providing motivation, building self-esteem, and creating opportunities for success. 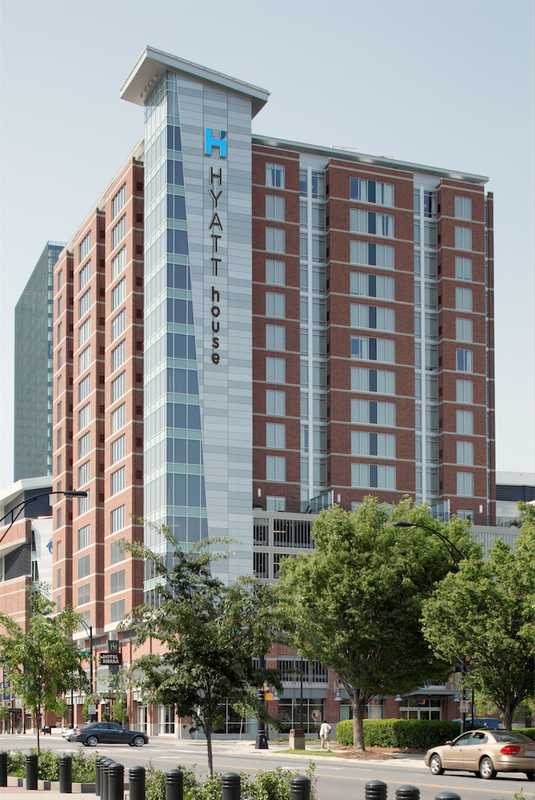 Spectrum Properties and Hyatt House contributed the use of the iconic buildings in Raleigh and Charlotte to benefit Special Olympics.